All Bucks Lake homes currently listed for sale in Bucks Lake as of 04/18/2019 are shown below. You can change the search criteria at any time by pressing the 'Change Search' button below. 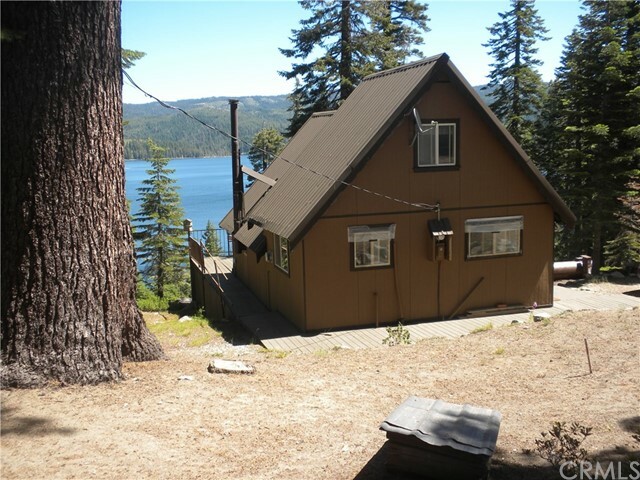 "Here is your chance to own a cabin in the highly desired location of Bucks Lake. Enjoy a panoramic, breath-taking view of the lake from inside the cabin through the windows that look out on the wrap around deck. Pride of ownership shows in this well-maintained cabin. It has an open floor plan with a sleeping loft that's open to the main level. A wood burning stove, replaced in 2014, provides ample heat for the whole cabin. Features include propane gas, PG&E electricity, phone service, and a gene"